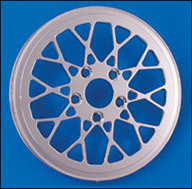 Rear Pulleys | Belt Drives, LTD.
BDL’s 1″ wide pulleys will allow a 180 series tire to be used with a 5-1/2″ wide wheel. 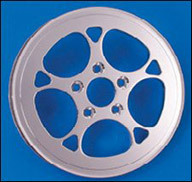 However, a wide fender must be used on all sizes over 150. On FXR & Dyna® models, the section of frame behind the shock must be widened. 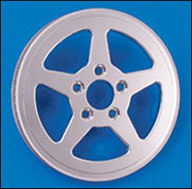 BDL’s 15/16″ wide spacer (RPS-100) must be used with stock width hubs. 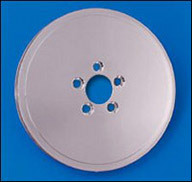 NOTE: 1″ wide pulleys are designed for custom show only. 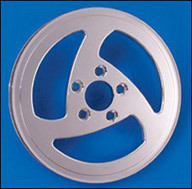 They are not intended to be used in lieu of 1-1/2″ wide pulley and belt. 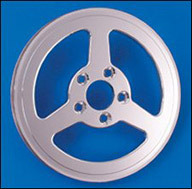 Use of a 1″ wide pulley and belt is at the user’s discretion and no warranty claims are made or implied by Belt Drives LTD or distributors of these pulleys and belts. Two designs to accommodate any custom application. Our classic Mesh design and our new Spoke design. 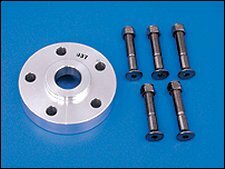 Made from 6061 aluminum for durable performance and gear cut to RMA standards, our pulleys will give you optimum performance and style that you can expect from BDL. Available finishes: Black with an accent cut or Chrome finish.